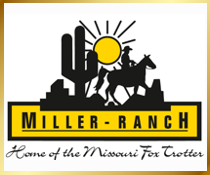 The MFTHBA is pleased to announce that K and D Martin Fox trotters, owned by Kim and Darrell Martin of Rolla, Missouri, have sponsored all entry fees for class 31, Gelding Model World Champion, scheduled for Monday September 3rd at the Celebration. In addition to the class being free to exhibitors, K and D Martin Fox Trotters is also offering payback for the class. The top 5 places will receive the following payback: 1st. $75.00, 2nd $50.00, 3rd $35.00, 4th $25.00 and 5th $15.00. 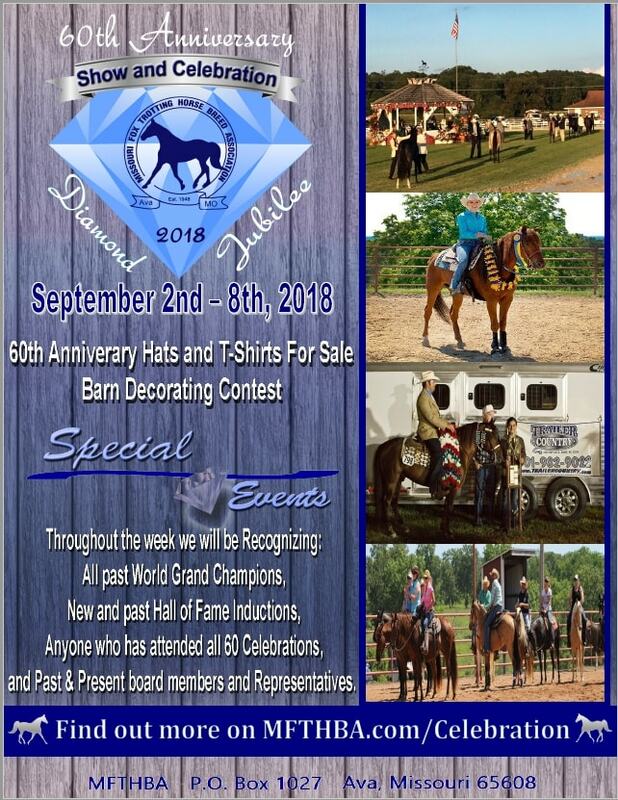 You won’t want to miss the 2018 60th Anniversary Diamond Jubilee Show & Celebration!